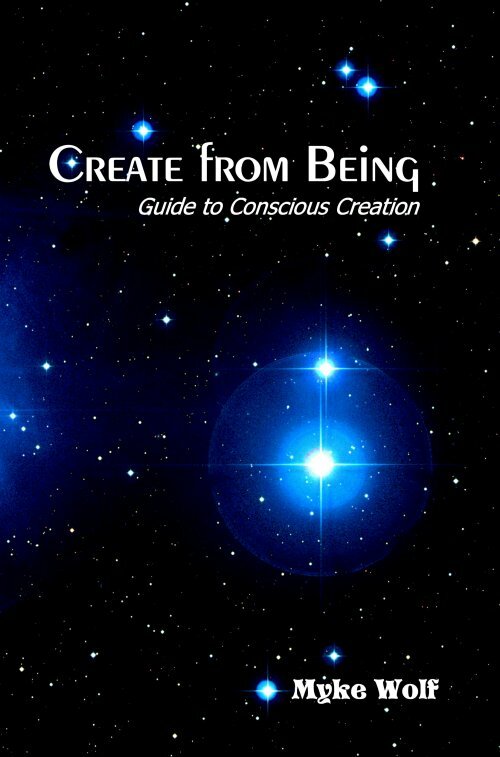 Welcome to the website dedicated to a practical understanding of Conscious Creation! Moment by moment, you already are creating and attracting ALL that you experience in life. Learning how-it-works allows you to change your life in ways not otherwise possible, and is the most self-empowering journey available to us. Fortunately, creating isn't something we need to learn how to "do" - it's who we already ARE. Becoming a Conscious Creator enables us to attract more enjoyable experiences into our lives. Conscious creation is real and it works. My mission is to provide you with practical tools for being a Conscious Creator in your own daily life. Always remember to love and enjoy your journey - for YOU are creating it ALL!